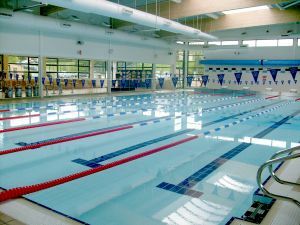 The club was formed in 1980 to organise and provide competitive swimming for people in Etwall and the surrounding area. The club is based at the Etwall Leisure Centre, Etwall (west side of Derby), Derbyshire. All members, young and not-so-young, with varying standards of ability are well catered for. Within the club we have members who regularly compete at Regional, District and National level. The Club is affiliated to the Swim England East Midland Region and the Derbyshire ASA. We are a relatively small club with currently about 300 members, and are always seeking new members. The club trains four nights each week in the 6 lane x 25m pool at Etwall, and one night in the 6 lane x 25m pool at Repton School. Training periods suit different ages and ability. Particular attention is given to developing our younger swimmers. To make it fair and consistent for all, and to ensure the Coaches are focused on their duties, unfortunately we are unable to answer membership enquiries on poolside.